Side Striped Jogger Pants with Snake Patch. Rock the side-stripe trend with these men’s white striped jogger pants in black. Athleisure-style track pants detailed with a large, embroidered snake patch. 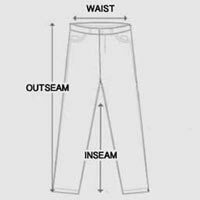 Elastic waist pants include adjustable drawstring tie, side pockets and single back pocket. Slim fit joggers taper down the legs finished with ankle zippers. These side striped jogger pants for men always look great, whether they’re dressed up or down.